Our Mission is to provide short-term vacation guests a Villa that meets their expectations and enhances their vacation experiences. We meet your expectations by: not 'over-selling' our villas and the community to which they belong, but clearly describing each villa, the community and the Tucson region; providing current pictures of the villas so you will feel comfortable when they arrive to check in; and, clearly communicating with prospective guests on email and the phone. We enhance your vacation experiences by giving you a month or more in the desert to get used to its ideocyncracies and to meet your neighbours so you can enjoy its beauty and embrace its uniqueness. The four seasons are different: Spring is a reknown time for desert blooms; Summer's heat is relieved by the dramatic monsoon rains; the Autumn air is cool and brings people out to enjoy long walks and outdoor adventure not found in cooler climates; and, Winter feels like "Summer" to Snow Birds going south to avoid blowing snow or slippery slush. Susan and I believe in the value of tangible property over the value of intangible shares in the stock market. Ever since we met and married, we worked hard to pay off our mortgage and not carry a debt-load. By 1990 we started a business together and called it Dugrene Enterprises. (The name comes from parts of Douglas and Irene, our middle names.) Dugrene was first a proprietorship, then an incorporated company, and now that we are older, it is a sole proprietorship. The business enabled us to take on additional overseas contracts, and soon we were buying several vacation properties in Puerto Rico and Arizona. After 20 years, we sold the Puerto Rico properties, and we are now enjoying renting our properties in Tucson Arizona. As of 2017, we stopped taking overseas contracts, and we can honestly say that we are retired. Dugrene Enterprises is part of our life. 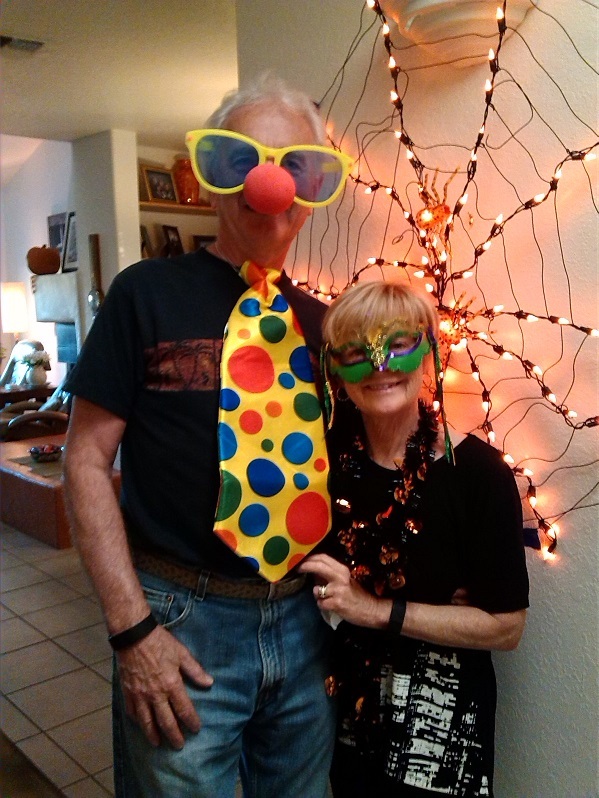 While we enjoy our family and friends, and especially enjoy being grand parents to four beautiful grandchildren, we enjoy our guests too, as they return year after year, and we look forward to their months in Tucson when they will be our neighbours. Susan Hutton, Teacher, Assistant Principal, Principal, School District Coordinator and Assistant Superintendent, Associate Professor Emeritus, International Education Consultant in Post-conflict Regions, Entrepreneur, Retired. Tom Gougeon, Teacher, Principal, College President, Associate Professor Emeritus, International Education Consultant in Post-conflict Regions, Entrepreneur, Retired. We live in Calgary Alberta Canada and now spend half a year in Tucson Arizona as Snow Birds.